Editor’s Note (September 17, 2015): This article was updated to include new information about the Array of Things project. When the Array of Things project launched in Chicago in June last year, it seemed the United States might finally be on its way to getting its first futuristic smart city. The goal of the Array of Things—a collaboration between the University of Chicago, the Department of Energy’s Argonne National Laboratory, and the city of Chicago—is to install hubs of networked sensors around the city to act as a civic “fitness tracker,” logging and publishing data that could measure the city’s health, such as how people move through it and pollution levels. But plans to install 40 sensor hubs around the University of Chicago as a test-run by last fall have fallen short, and the Array of Things currently consists of just a handful of sensor nodes. The ambitious project has encountered two major obstacles—misguided privacy fears and a lack of funding—that have drastically hampered its development. But on September 14, the Obama administration announced a new smart cities initiative that includes $3.1 million in funding from the National Science Foundation to support the Array of Things. However, federal funding alone is not enough to get the project off the ground. The city government of Chicago should proactively champion the project by dispelling misguided privacy fears and providing the necessary assistance to ensure researchers can deploy and operate these sensors effectively. With the proper support, the Array of Things could start delivering social and economic value to Chicago’s residents and, more importantly, Chicago could establish itself as an international leader in the Internet of Things and demonstrate to the world how a smart city should be celebrated for its benefits, rather than feared. The Array of Things would be able to provide city planners, health officials, businesses, and the general public timely data about temperature, light, sound, carbon monoxide levels and more, wherever the project installed the sensors. This data, when combined with other sources such as the Chicago government’s existing open data, has incredible potential: entrepreneurs could build apps that combine crime statistics with real-time light levels and traffic patterns to map a user’s safest walk home; real estate websites like Zillow could factor in data on noise levels in specific neighborhoods into their pricing estimates to better inform their users; and public officials could save money by targeting salting and plowing snow only in areas that need it. Eventually, city planners could use this data to address more serious problems facing Chicago residents, such as how low-income neighborhoods might be more exposed to hazardous air pollution. The project hit its first roadblocks after the announcement of its launch when privacy advocates denounced the project, calling it “research hubris” to automatically collect data from involuntary participants as they go about the city. Others called the sensor hubs “spy boxes” or expressed skepticism that the data collected by the Array of Things was not somehow nefarious. A city alderman even criticized mayor Rahm Emanuel for approving a project that posed “obvious invasion-of-privacy concerns.” But none of the data collected by the Array of Things could be considered personally identifiable information. One of the main criticisms of the sensors is that they estimate population counts by detecting Bluetooth signals from nearby pedestrians’ mobile devices. However, the sensors would simply detect that a device is there, and not collect any type of data from the device whatsoever. Regardless, the researchers behind the project have since changed their design to rely on cameras to count pedestrian and vehicle traffic, as well as collect new data on features like weather conditions, sky color (which could indicate pollution levels), and standing water. Cameras have the added benefit of capturing representative samples of the population and not just those that can afford smartphones, which will help ensure that policymakers and city planners can make decisions with data that does not exclude underserved populations. Until recently, the researchers behind the project have struggled to get the project in full swing with sufficient funding and project management support. And even though the data from the Array of Things will be freely available and could eventually prove to be a boon for Chicago’s public services and economy, the project was initially only funded by a $200,000 grant from Argonne National Laboratory. That the Array of Things is behind schedule is undoubtedly attributable, at least in part, to a lack of proactive city government support in helping finance and manage the project. The city had agreed to help install and power the sensors, but officials should have taken this a step further and helped the team raise awareness, dispel privacy concerns, and obtain the necessary funding. Fortunately, it now looks like the Array of Things will not be short on cash any time soon. In July the Array of Things won a combined $300,000 in funding from Argonne National Laboratory and the Innovation Fund, a technology incubator run by the University of Chicago, and the announcement of Obama Administration’s smart cities initiative in September allocates $3.1 million in funding specifically for this project. While this funding is very encouraging, it still remains to be seen if the Array of Things will achieve its goal of deploying over 500 sensor nodes by 2017 due to the initial setbacks. But unless the city takes a more active role in the project’s development, Chicago may never fully be able to reap the benefits of wide scale deployment of the technology. For example, unless city administrators promptly dispel the new crop of privacy fears that will surely arise when people unfamiliar with the project learn it will now use cameras to take pictures of public places, the Array of Things could face even more setbacks. City leaders should act quickly to educate the public about how these cameras will convert photos they take into numerical data for analysis and not transmit or store any images, which could prevent privacy concerns from materializing to begin with. 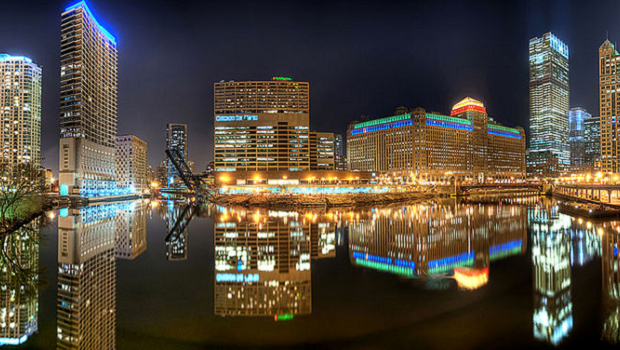 If not, Chicago may lose its opportunity to champion the Internet of Things. Fortunately, if it does, many other cities would love to take its place.